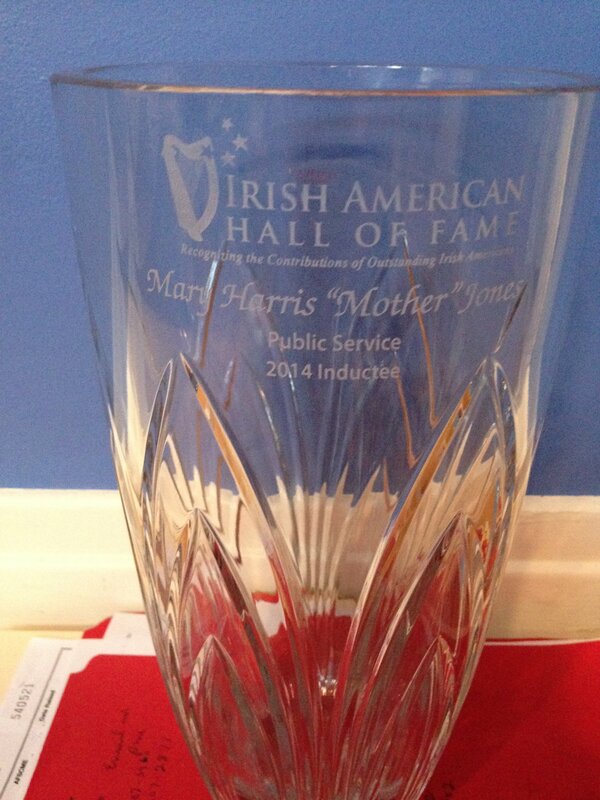 Mother Jones was inducted into the Irish American Hall of Fame on Saturday, April 22, 2014. ILHS President Larry Spivack and Margaret Fulkerson proudly accepted the award for her. 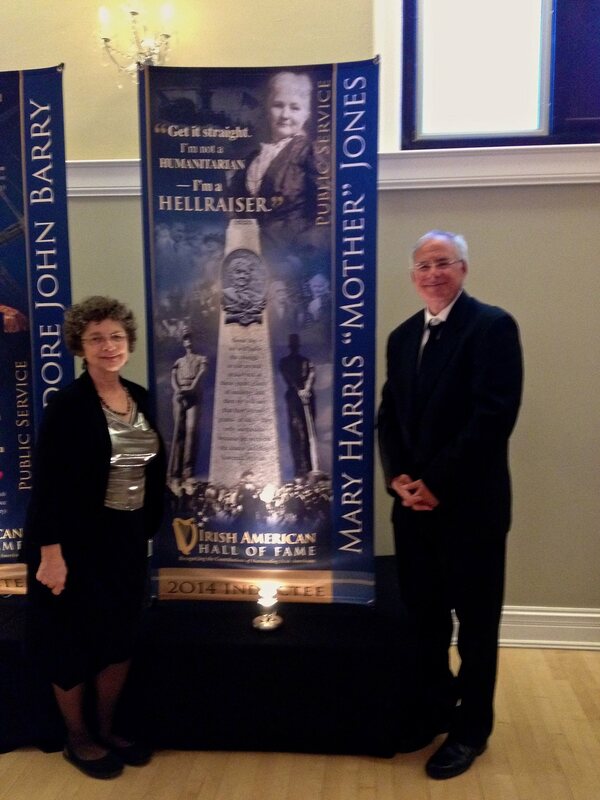 The Irish Galway Crystal vase will be placed in her exhibit at the Irish American Heritage Center.